1. Launch the online installation package file you have downloaded from the download section above. 2. Click Run when you see this message. 3. 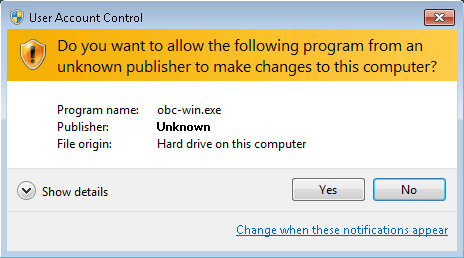 The following dialog box will appear only if User Account Control is enabled. Click Continue to start the installation. 5. Select I accept the agreement after reading the license agreement. Then, click Next to proceed. 6. Choose the installation directory. Then, click Next to continue. 7. 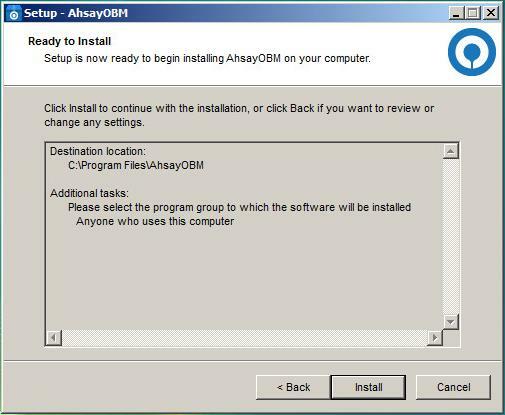 Select the program group to which the software will be installed. Then, click Next to proceed. 8. The installation will start after you click Install. 9. The component files will be downloaded first during installation. 10. Click Finish to complete the installation. 1. 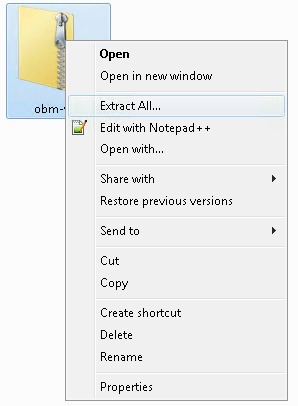 Extract the offline installation package file (obm-win.zip) you have downloaded from the download section above. 2. 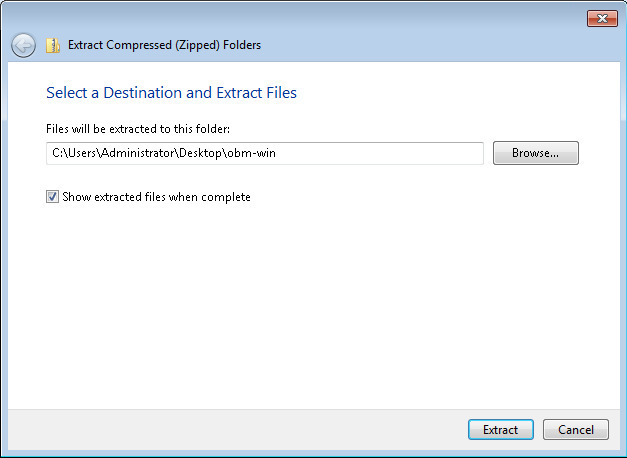 Select a destination and extract files. 3. Launch the installer you have extracted from the zip format file. 4. 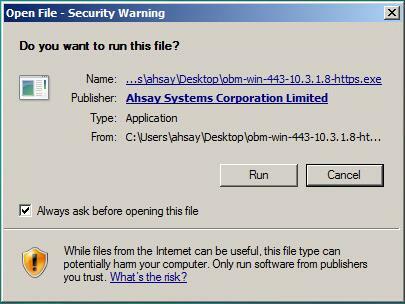 Click Run when you see this message. 5. 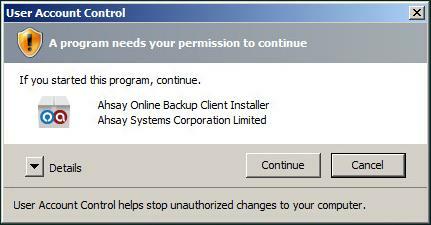 The following dialog box will appear only if User Account Control is enabled. 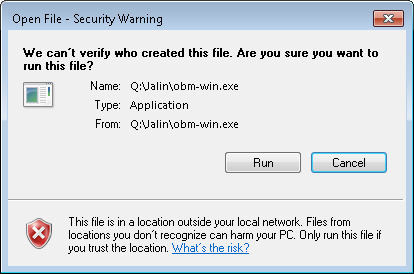 Click Yes to start the installation. 7. 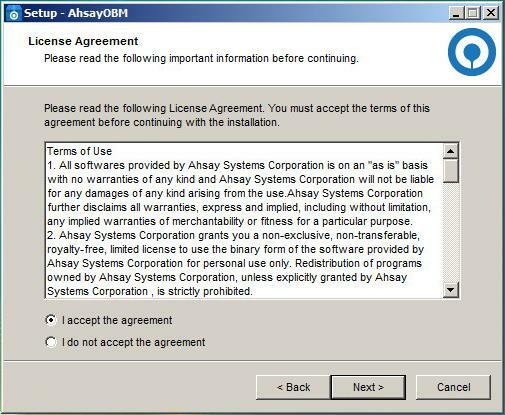 Select I accept the agreement after reading the license agreement. Then, click Next to proceed. 8. 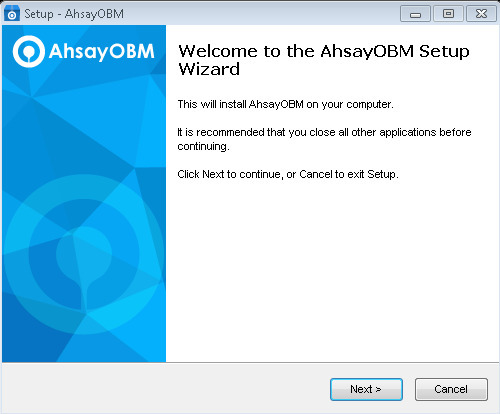 Choose the installation directory. Then, click Next to continue. 9. 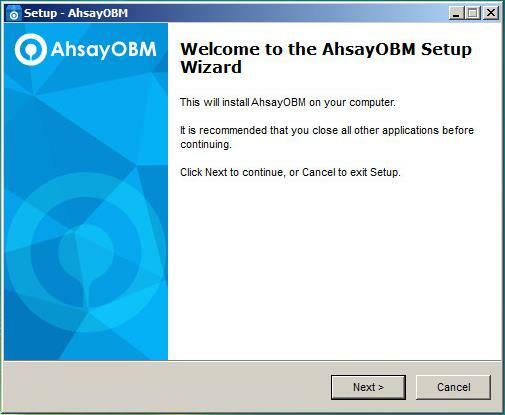 Select the program group to which the software will be installed. Then, click Next to proceed. 10. The installation will start after you click Install. 11. Click Finish to complete the installation.